BayCare is a community-focused health care system, focused on exceptional patient care. “Our goal is to give patients convenient access for the right level of medical care in the right place and at the right time,” said Jim Cote, senior vice president of BayCare’s Ambulatory Services. 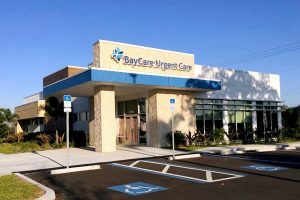 Toward that goal, BayCare recently opened a standalone Urgent Care at 10125 Big Bend Road, Riverview, to complement the services of neighboring St. Joseph Hospital South, BayCare Outpatient Imaging, and BayCare Lab Services. BayCare Urgent Care offers a wide range of immediate care for adults and children ages 2 and older. Patients are seen for non-life-threatening illnesses and injuries, preventive care and urgent treatment for things like flu, cuts and UTIs. Whether you have a minor injury, bee sting or animal bite, allergic reaction, sunburn or sinus infection, you can be quickly seen without an appointment. For a full list of services, visit https://bit.ly/2I73sGZ. The facility provides on-site X-rays, labs and EKGs and dispenses some medications. It also offers the required physicals for schools and sports and occupational health services like drug screenings, treatment of workplace injuries, post hire physicals and vaccinations. 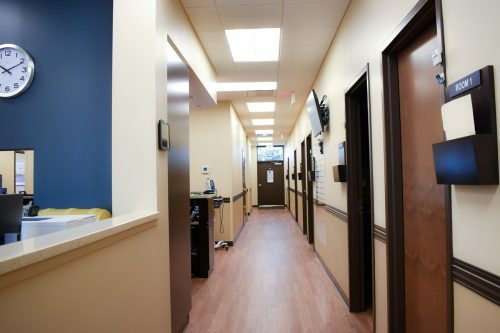 “We’re a one-stop for all the health care needs of the community and an access point for businesses needing occupational health services,” Waldrep said. The Urgent Care sees adults and children ages two and older. All major healthcare plans, including Medicare, Medicaid and many HMOs are accepted. The clinic’s hours of operation are 8 a.m. to 8 p.m. weekdays and 9 a.m. to 6 p.m. Saturday and Sunday. You can reserve your place online through BayCare’s Save Your Spot service at https://baycare.org/services/urgent-care/save-your-spot. It tells you in real time how many patients are waiting to be seen and will send you a message when you need to show up. Patient forms are also available online. Founded in 1997, BayCare is a not-for-profit health care system of 15 hospitals, four surgery centers, 18 urgent care facilities and 15 outpatient imaging centers, throughout the Tampa Bay area and central Florida. It employs 28,400 employees and has 5,410 physicians and medical professionals. For more information, visit www.baycare.org/about-us. 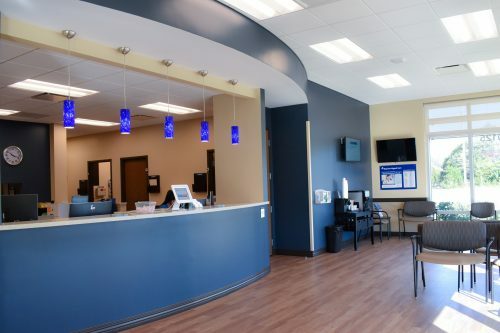 BayCare’s new Urgent Care in Riverview is designed for comfort and efficiency. Its focus is to provide both excellent medical care and high-delivery.